Customize your Goldberg Brothers Standard Series J-strap roller hangers with a pair of decorative accent trims. 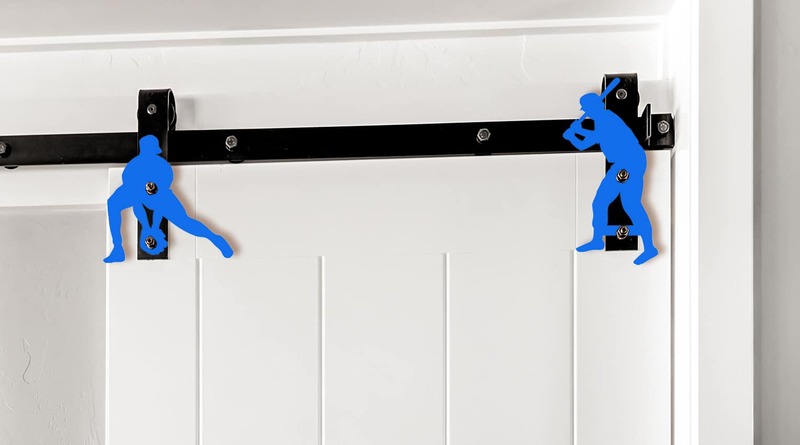 These fun accessories add your personal style to our barn door hardware. With dozens of designs available, you can even swap them out for different holidays and seasons. They are sold in either themed sets or identical pairs and are available in raw steel and all sixteen of our standard powder coat colors. To install, simply remove the nuts and washers from the front of your installed roller hangers, slip the accent trims over the bolts, replace the washers and refasten the nuts. 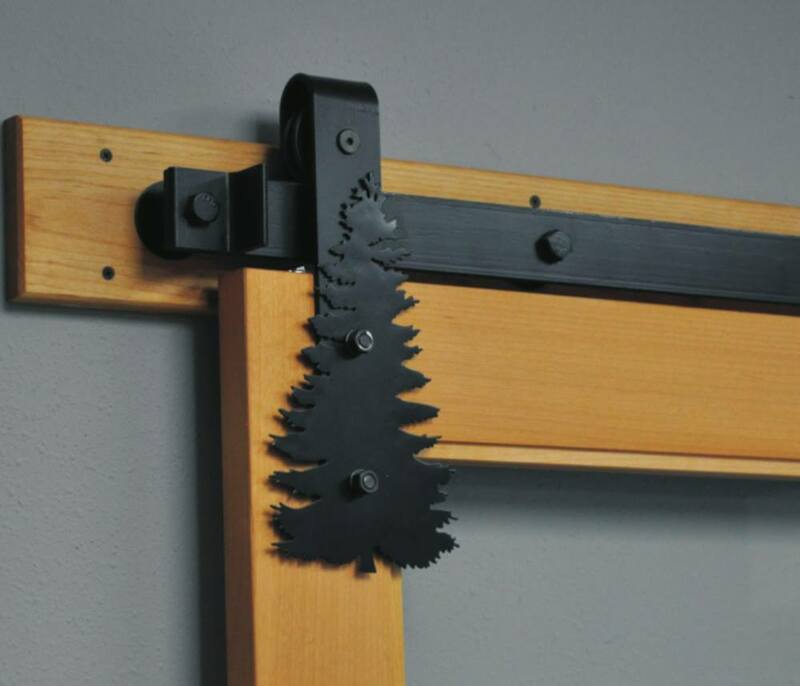 Visit any of our barn door track retailers and ask about these optional decorative accent trims. If you don’t find your favorite design in-stock, they will be happy to place a factory order for you. We can also custom-manufacture company logo trims with your company logo or original artwork.